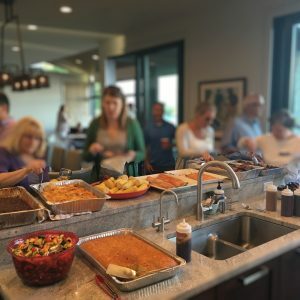 There are a ton of bbq caterers out there and some of them are really good at smoke’n meat and preparing side dishes, but to be a great bbq caterer, you must have great organizational skills. You must be able to know how long everything takes to cook. Ribs take a shorter time then butts and briskets. Smoked mac and cheese takes longer then making collard greens. Everything is about timing. If you caterer does not get back to you within a short amount of time, that’s a red flag. References. Does your caterer have references. Names and phone numbers. Get them, use them. Food. Have you had their food before? Might be good to taste the product before you buy it. Timing. Did the caterer respond in a timely manner? If not, that might be sign. Location. If your event is in Bellevue, finding a caterer that is close will increase your chances of getting your food on time. Your event is important, and the catering must be spot on. Take your time and get the RIGHT bbq caterer for your event. Our caterers are top notch. Let us do the busy work and provide you with quotes from many different GREAT bbq caterers from Redmond, Bothell, Seattle, Edmonds and Bellevue!